Event Star Pro Fully Responsive Multi-purpose Event & Conference WordPress Theme suitable for any Event and Conference sites as well as blog, corporate, business sites, Ecommmerce and any sites. Extract event-star-pro.zip and upload the folder. You can add as many page as you want. Later you can select added page in the Slider and Widgets as their components. 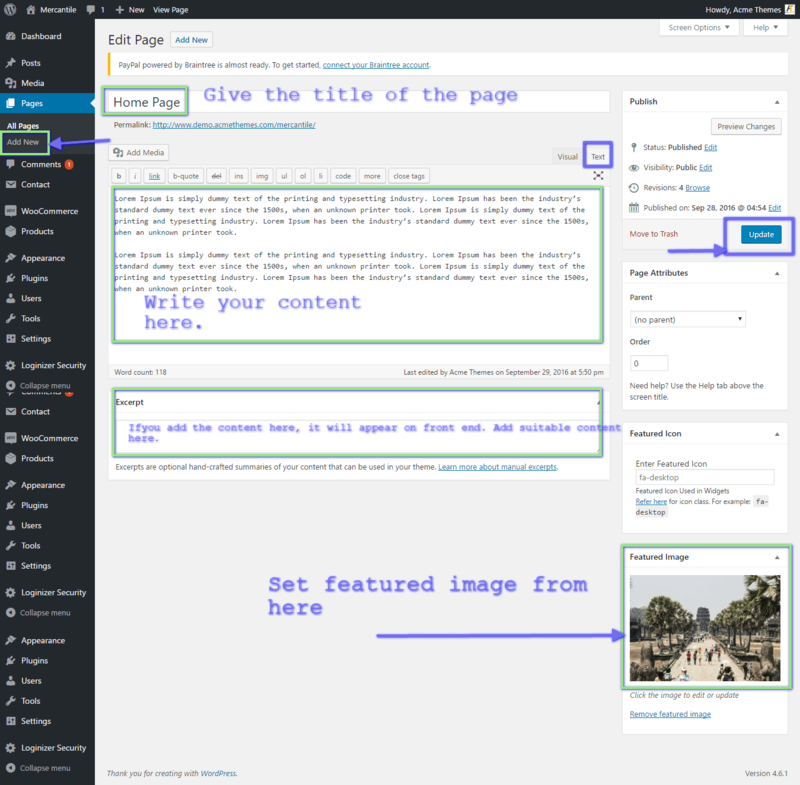 If you want to create Home/Front Page similar to demo but without importing demo content, you can follow the following procedure. After setting Front Page and Blog page. Go to Appearance => Customize, all available theme options are here. Select Pages for the slider items. Click on Add New to add the required slider. 7. Adding Home/Front Page Other Sections like About Section, Count Down Section, Gallery Section, Schedule Section, Speakers Sections, FAQ Section, Testimonials Sections , Blog and News Sections, Contact Sections. When you go to Admin Panel > Appearance > Customize. , there you will see various options available to customize your site. 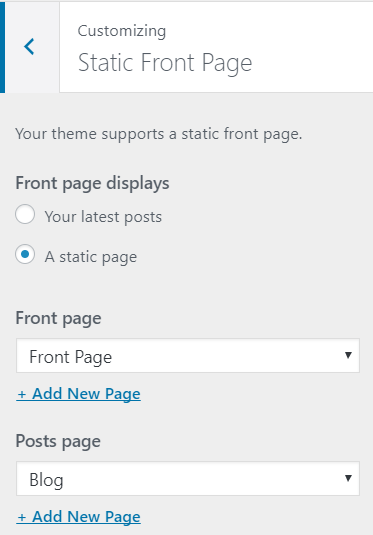 Just try those options one by one you will able to understand how theme works and can create any kinds of sites. Header Options includes Header Top, Menu Options, Header Images and Popup Widget options with individual setting etc. You can add beautiful Feature Slider with Feature Info in the Front Page. Feature slider also includes the ability to add Count Down Timer. This section is design to include basic information of you company or Events. Layout Design Options help to change the overall layout of site including Front Page Content, animation, sidebar for Front page, Archive and Inner pages, Colors, Blog and Single Image size, Background image etc. You can edit or remove the text.